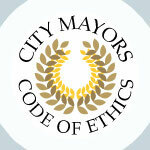 25 September 2012: City Mayors' internet directors provide one-click access to cities and mayors. Please contact the editor if you would like your city to be included free of charge in the directory of European cities. Please insert 'city directories' in the subject line of any email.